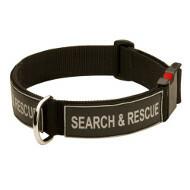 Amstaff harness is perfect for service equipment of your dog. This nylon dog harness for Amstaff is designed together with kennel specialists of special subdivisions. 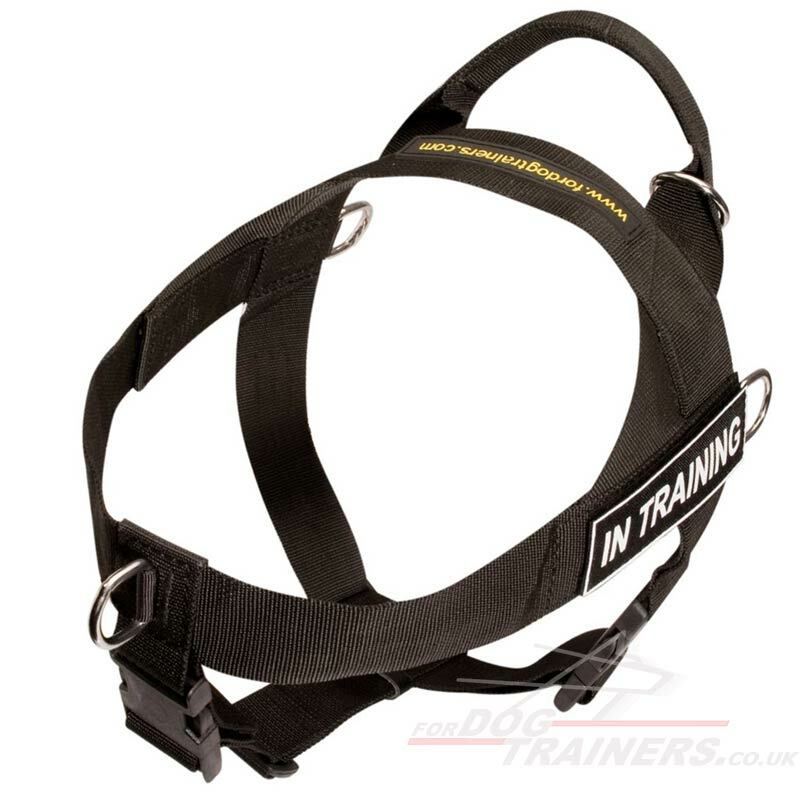 Perfect design of this Amstaff harness makes it maximum functional in use. This nylon lightweight comfortable harness fits for Staffordshire Bull Terrier daily walks, obedience training and control of your dog in public places. 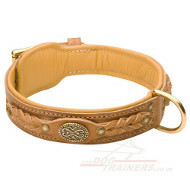 Two half rings by sides and one on the back makes it perfect for use as weight pulling harness. You may choose an original functional sign patch to stick it to the harness. Our dog harnesses are combination of high quality, reliability, style and available price. 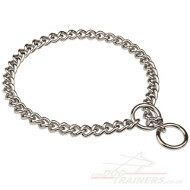 To stop your dog pulling on a leash, adjust a lead to the front ring. 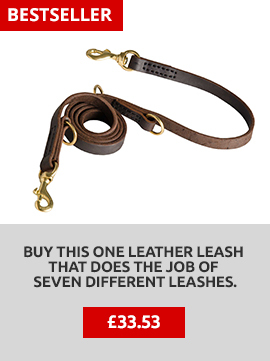 Order also a matching dog lead in a set with this harness and SAVE! Choose option on the top of the page ➹ . Matching nylon dog lead for 14.40 11.90 FOR SALE! 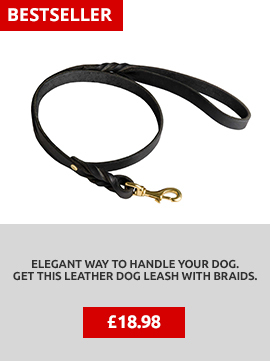 Or choose a nylon dog lead for your dog here. 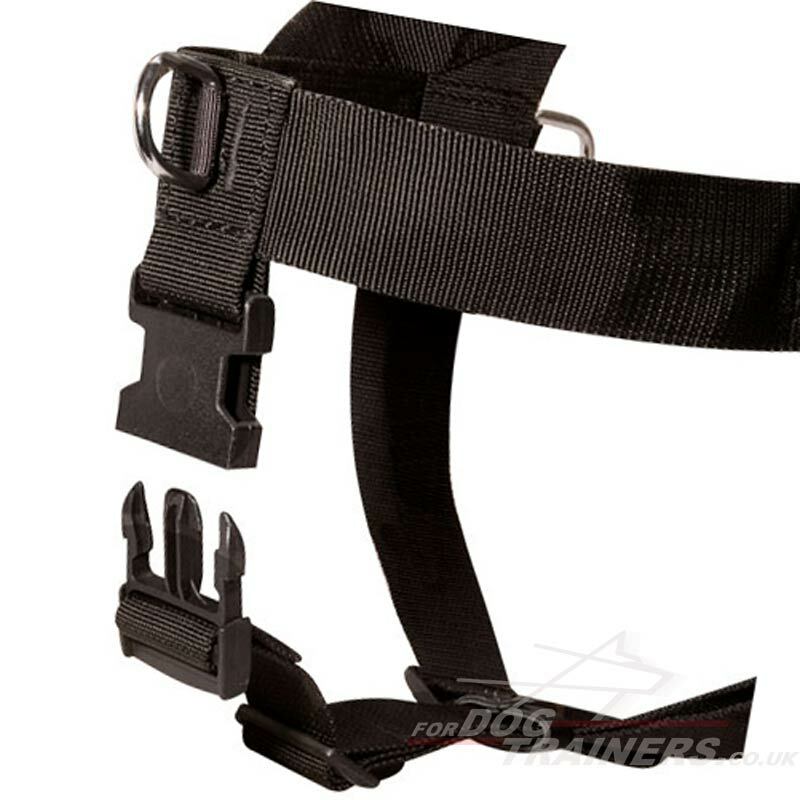 Amstaff harness for service dog has additional strap between front legs with easy release buckle that distributes the load more evenly on the dog body. 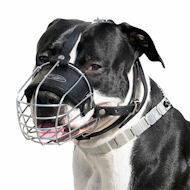 This dog harness for Amstaff may be used in any weather conditions. 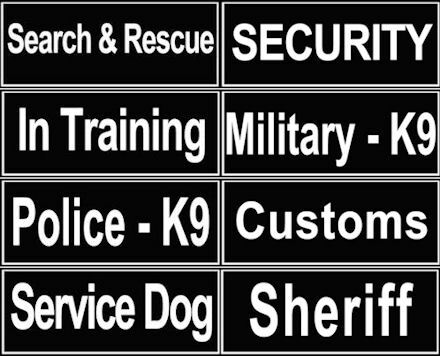 Choose also suitable patches for this dog harness according to its service. "Hi just a quick message to say we received the harness. I was really surprised how well it helped to stop lennox from pulling, as soon as he used it there was a big improvement. Thanks again, and I've attached some pics of lennox wearing it." "I have purchased a 6 months old German Shepherd. She pulled very strong at first, is was just unbearable to walk her on a leash. But with the harness, for the account of its straps on the chest and back, she cannot pull while walking. It is a very effective tool!! With this harness dog walking became pleasant." "Hello, We have received our dog collar and harness! We are very impressed by the quality of the products. I would definitely recommend your website to friends. "I would like to thank you for the quick delivery of my tracking and pulling harness i purchased from you for my great dane puppy. it is well made and hopefully will stop him pulling and jumping up. Will keep you updated." 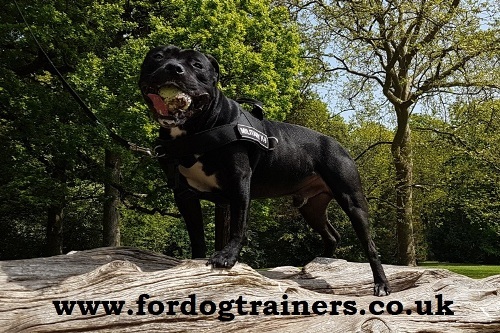 "Thank you for the harness ordered on the 14th and delivered on 17th, cannot believe how fast it came, been trying out the harness for the last couple of days absolutely brilliant piece of equipment. To say our dog 9 months old from a Rescue had never been walked he is doing extremely well - I would recommend this harness to anybody. Many thanks." 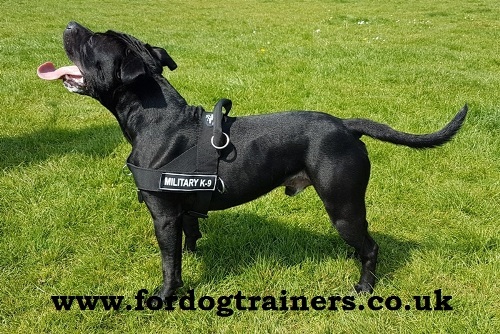 "Rottweiler walking dog harness for everyday is very nice piece of kit it fits very well and heâ€™s very happy in it .With no restrictions of movement, quick to put on with the handle. I feel that I have more control and it looks good on him"
"The harness arrived today and fits perfectly, so far very pleased just have to actually take her out in it and see how I get on. Many thanks for the quick delivery. " "My friend was so impressed by our harness, that they want one for themselves. " "Received the above item yesterday and would just like to say absolutely delighted with the speed of delivery and build quality of the harness. Will be sure to order again in the future! Many thanks." 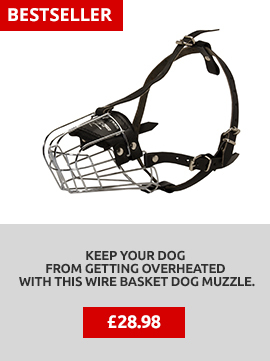 Your dog is active and cheerful? Make it enjoy play with our dog toys! It will not bother you chewing everything around, or your new shoes - it will have something more interesting to bite!